The Zeiss CZ T* 82mm UV filter features an anti-reflective coating and enables you to produce brilliant pictures, even in unfavorable lighting conditions. The very thin, transparent coating is present on both surfaces of the filter's glass plate. 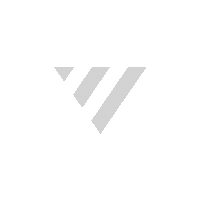 To create the coating, special substances are vaporized one by one in a vacuum, then deposited on the glass surface with precisely controlled thicknesses, in order to achieve the desired reduction of reflection. 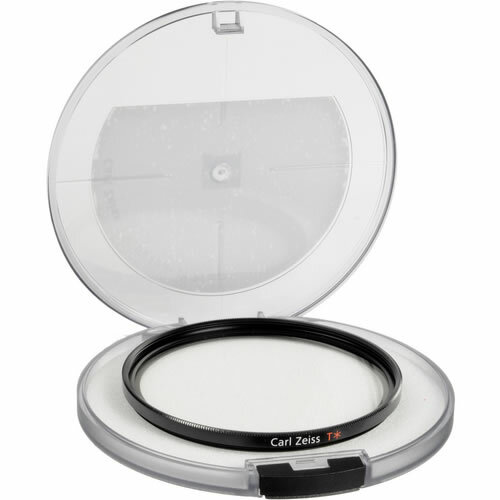 Completely clear and transparent for visible light, this CZ T* is suitable as a standard filter for all high-quality 82mm lenses in photography and cinematography--since the same T* coating is also used for Zeiss lenses. In manual exposure metering, no extension factor needs to be taken into account, making your job easier. 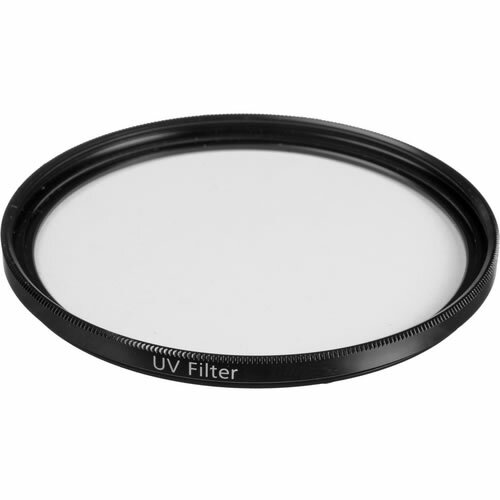 This filter enhances image clarity and contrast, especially for long-distance landscape shots in lighting situations with high UV incidence, such as in the mountains. It makes colours appear more radiant. Additionally, it won't interfere with your photography when UV rays are not strong or are absent altogether, which means you can always leave it on, protecting the front element of your valuable lens from dirt, dust and scratches.